Price: Patterns range from USD$4.25 to USD$6.00. Prices are noted with each pattern. Payment: Net 30 billing. 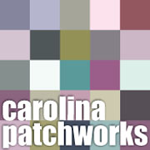 Checks should be made payable to Emily Cier or Carolina Patchworks. I can not process credit cards at this time. Paypal is accepted. Please email me for the payment address. Shipping: Orders are sent via USPS Priority Mail. The approximate quantity that I can fit into each size mailer is noted below. 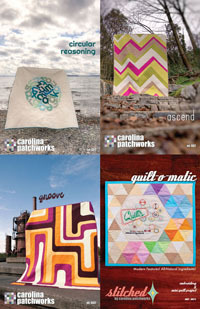 Copy the following into an email and send it to emily [at] carolinapatchworks [dot] com.